Owner Mikhail Prokhorov’s representatives told BuzzFeed News that, despite reports, “nothing was imminent” when it came to unloading the NBA franchise. 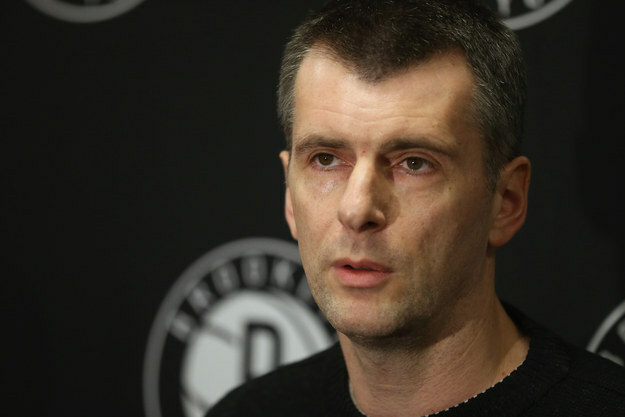 Bloomberg reports that Russian billionaire Mikhail Prokorhov will sell the Brooklyn Nets. He’s owned the team since 2010. According to the report, the $1 billion Barclays Center — the Nets’ Brooklyn home — will not be for sale. As we have said for many months, ownership is always open to listening to offers – that’s just good business. There is nothing imminent in terms of a sale of any stake in the team. If the team does go up for sale, Prokhorov might have been enticed by last year’s sale of the Los Angeles Clippers to former Microsoft CEO Steve Ballmer. The Clippers, which the league demanded be sold following the release of racist remarks by then-owner Donald Sterling, went for $2 billion. Previous team sales were far less lucrative: the Milwaukee Bucks went for $550 million; Sacramento Kings for $534 million; Memphis Grizzlies for $350 million. Like the Clippers, the Nets are the team of lesser dominance in a large market. Bloomberg reports an early estimate for the team is around $1.3 billion. He bought the team for $223 million. Rumors of Prokhorov’s interest in selling the team surfaced in late 2014. Last week, it was announced that the Atlanta Hawks are also for sale. The 2015 Nets are 16-22 on the season, but are holding on to the 8th seed in the middling Eastern Conference.